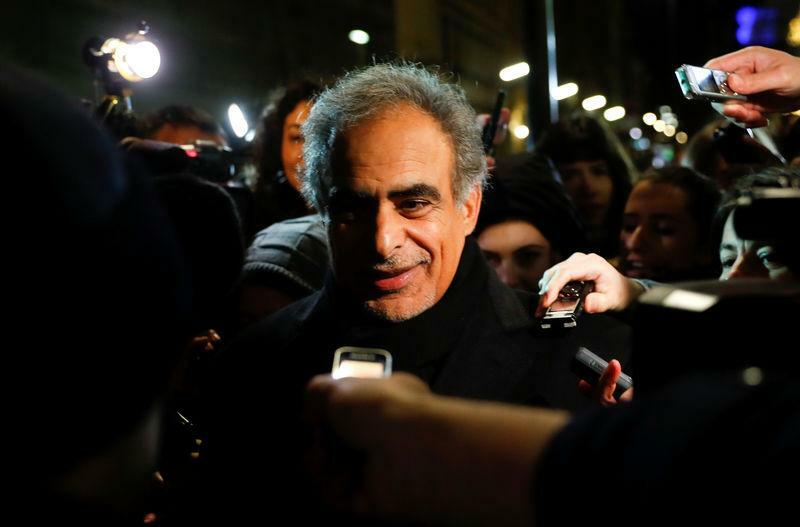 HAMBANTOTA, Sri Lanka (Reuters) - Oman's oil minister said on Sunday he was excited to be part of a Sri Lanka oil refinery project in a sign that plans for the sultanate's involvement may be back on track. Sri Lanka said last week that Oman Oil Co had made clear it was interested in taking a 30 percent stake in the new refinery on Sri Lanka's south coast. But an Omani official denied the Middle Eastern country had agreed to invest in the project. Rumhy joined Sri Lankan Prime Minister Ranil Wickremesinghe at the laying of the foundation stone for the planned $3.85 billion oil refinery at Hambantota on the south coast, which would potentially be the island's biggest foreign direct investment. "This is not a project just for three years. This is a life long project," Rumhy said at the launch ceremony held at the Mirijjawala investment zone in Hambantota. "We will work very hard to deliver this project to the people of Sri Lanka." However, he did not comment on whether Oman planned to have a direct stake in the refinery. The refinery will be built near a $1.4 billion port controlled by China Merchants Port Holdings. The India-based Accord Group is the main investor in the refinery project, through a Singapore entity it controls. The project will be Sri Lanka's first new refinery in 52 years after Iran built a 50,000 barrel-per-day refinery near the island's capital city of Colombo to blend Iran light oils. The new refinery will export all products it refines, officials have said. "We have Chinese investment, we have Indian investments, we have Oman interest for investment, and we have investment interest from many other countries," Wickremesinghe said at the event. "It shows that Hambantota will become the multinational investment zone." A senior Sri Lankan minister, who declined to be identified because he is not authorised to talk to the media, told Reuters Oman had given a commitment to invest in the refinery and there would not be any turning back. But on Wednesday, Salim al-Aufi, the undersecretary of Oman's oil and gas ministry, said "no one on this side" was aware of the investment. Sri Lanka's investment board said last week that another Oman entity, Oman Trading International, was willing to supply all of the refinery's feedstock needs and take on the marketing of the oil products it would produce. India and China have been vying for political influence in Sri Lanka in recent years, with investment a key part of the battleground. China is the biggest buyer of Omani oil. In January it imported about 80 percent of Oman's crude exports, Oman government data shows. An investment zone is planned by China Harbour Engineering Corp alongside the port.